New episodes of 9to5Mac Daily are recorded every weekday. Subscribe to our podcast in iTunes / Apple Podcast or your favorite podcast player to ensure new episodes are delivered as they become available. 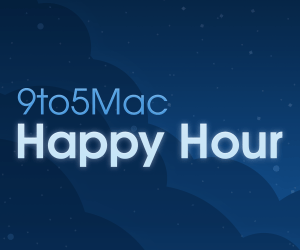 Send us a message to happyhour@9to5mac.com. You can also rate us in Apple Podcasts or recommend us in Overcast to help more people discover the show!